Coraline người hâm mộ Art- bởi MiyomotheCat. . Wallpaper and background images in the Coraline club tagged: coraline. 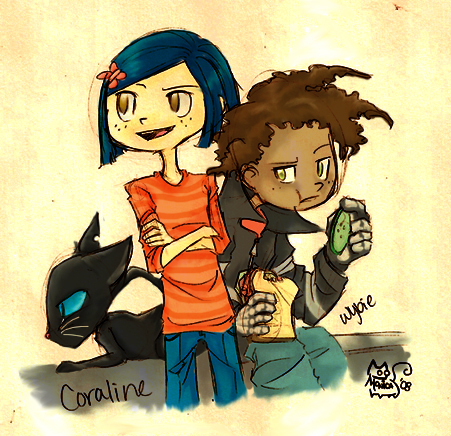 This Coraline fan art might contain anime, truyện tranh, phim hoạt hình, and manga. When there's a pickle and salad sandwich, Wybie will be there! Stop telling me what to do Shadow!